Studio Ghibli, Inc. is a Japanese animation film studio based in Koganei, Tokyo, Japan.The studio is best known for its anime feature films, and has also produced several short films, television commercials, and one television film. It was founded on 15 June 1985, after the success of Nausicaä of the Valley of the Wind (1984), with funding by Tokuma Shoten. Six of Studio Ghibli’s films are among the 15 highest-grossing anime films made in Japan, with Spirited Away (2001) being the second highest, grossing over US$290 million worldwide. Many of their works have won the Animage Anime Grand Prix award, and four have won the Japan Academy Prize for Animation of the Year. Five of Studio Ghibli’s films have received Academy Award nominations. Spirited Away won the Golden Bear in 2002 and the Academy Award for Best Animated Feature Film in 2003. 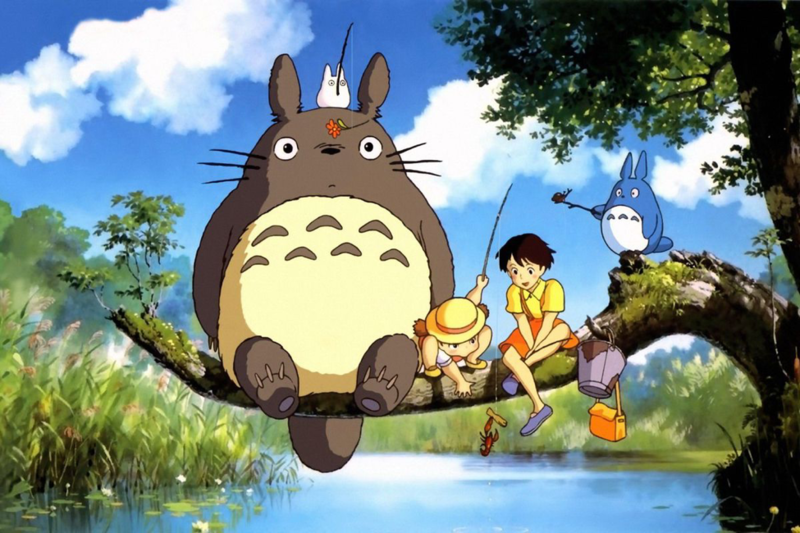 Totoro, a character from My Neighbor Totoro, is the studio’s mascot. On 3 August 2014, Studio Ghibli announced it was temporarily halting production following the retirement of director Hayao Miyazaki. The studio has mainly produced films by Miyazaki, with the second most prolific director being Takahata (most notably with Grave of the Fireflies). Other directors who have worked with Studio Ghibli include Yoshifumi Kondo, Hiroyuki Morita, Goro Miyazaki, and Hiromasa Yonebayashi. Composer Joe Hisaishi has provided the soundtracks for most of Miyazaki’s Studio Ghibli films. Over the years, there has been a close relationship between Studio Ghibli and the magazine Animage, which regularly runs exclusive articles on the studio and its members in a section titled “Ghibli Notes.” Artwork from Ghibli’s films and other works are frequently featured on the cover of the magazine. Miyazaki Hayao’s latest film at Ghibli is The Wind Ries, which premieres July 20, 2013 in Japan. Newer Why did Studio Ghibli stop making movies ?